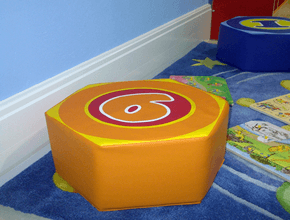 EasyClean LST - Hygienic Heat, Controllable Comfort, Safe & Secure - DiscreteHeat Co. Ltd. The EasyClean LST range of products have been designed in cooperation with the NHS and major Assisted Living providers as an alternative to traditional LST radiators and covers, overhead radiant panels and under floor heating. Being a completely sealed radiant skirting trim, it is simple to fit and above all easy to clean in service – usually by the regular cleaning staff when cleaning the floors. This eliminates the need for any deep clean teams, and any necessary corridor and room obstructions, when LST radiator covers are removed for service. Being naturally low surface temperature, but with a rapid response time on & off, it is a perfect alternative to under floor heating in bedroom and living space environments. No overheating or underheating, and no complaints from staff of tired legs and feet, from standing on heated floors all day. Being ‘above ground’ but not overhead, it is simple to install or retrofit, and provides the perfect heating pattern for those who might find ceiling heating uncomfortable and behaviour changing. 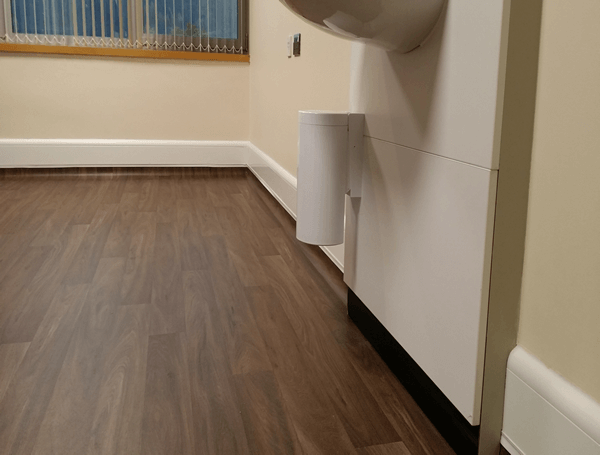 The EasyClean system has been designed to be robust and reliable, and with a number of patented features to protect persons who might self-harm, or have challenging behaviour that could lead to damage to other fixtures and fittings. 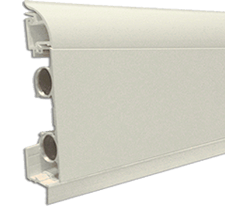 The EasyClean system comprises an aluminium profile in several sizes, and colours, through which warm water passes by way of 2 or more oval tubes moulded into the back. 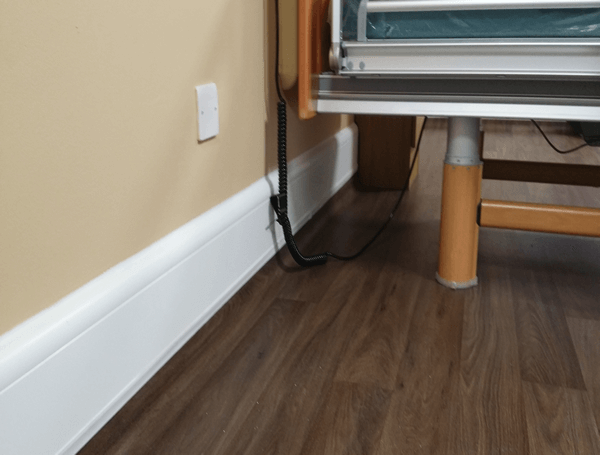 Despite being only 20mm deep, and thus extremely discreet and unobtrusive, the system is able to heat virtually any occupied space due to the sheer surface area created at low level when skirting the room out.